Though not at ‘popular’ as in other countries, in Jamaica, homeschooling has been gaining momentum and has been lauded by various children, some deemed over achievers. The stories are varied and the clearly accomplished children who flash straight 1 and A profiles in the annual CXC and CAPE examinations are evidence that the model seems to work. There is no doubt however, that any state of change will require major adjustments and well, many parents in Jamaica have grown accustomed to the routine of registration into the formal school system. Many years ago for example, I remembered hearing the names Makonnen Blake Hannah and Barbara Blake-Hannah repeatedly. The names became synonymous with Homeschooling and the successes to be reaped, yet even then, not yet a mother, it seemed far-fetched and maybe even daunting. Fast Forward to now, when my many searches led me to discover that Hannah also documented her Homeschooling experience in a Homeschooling Guide: Home The First School and our well recommended homeschool tutor lists Hannah as one of her motivators to view schooling differently. 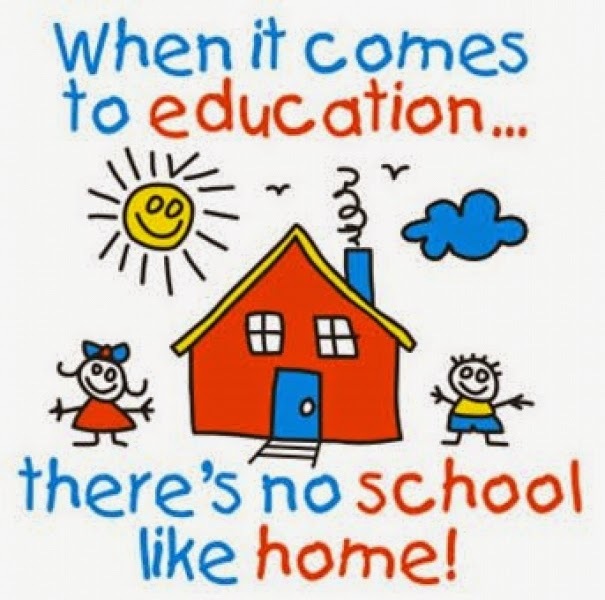 Without a doubt though, when one hears homeschooling often it seems daunting (and so it was for me too) as it may be a case where parents stay or work from home and home school their own kids. Still others enroll their children in the regular primary of preparatory institutions and then co-school. There is too the option of having a trained tutor for your child teaching them in a home environment. As parents to a 5 year old, we chose the latter. Will she be isolated from the socialization process? Will there be the right balance? What about extracurricular activities? Will she feel like an anomaly when in larger groupings and is asked what school she attends? What of school competitions? Arts showcases and the like? What happens if she has to be reintegrated into the formal school system? A chat with several homeschoolers, parents and a bit of research helped to allay some of the fears. With an active Homeschoolers Association and Ministry of Education guidelines, Jamaica’s Homeschooling programme is not without its share of formalities. There are required curriculum, extra curricular and social guidelines that have to be followed. The ministry too provides a form that has to be completed with a detailed view of how the proposed homeschooling option will cater to the child’s needs. That certainly put me at ease, as even without the ‘formality’ of a classroom, I still wanted to ensure that she would be on par with her peers. The issue of social interaction too was quickly resolved at our first ‘parents who homeschool’ meeting. The team decided on several extracurricular and social development activities which will see our children doing dancing, swimming, music, sign language, speech and drama and then some. There are also plans afoot for joint homeschooler association sports days and other joint activities. As is expected, I proceeded with caution with this, often going over a million and one questions about the process and the product. The summer holidays gave us the oppurtunity to do a test run and so for a month, our 5 year old shared home-school space with another 5 year old and 2-3 other kids on the younger or older divide. I had concerns about several elements and the one month period gave a good time to assess her interactions and how well she coped in a setting that is a little more relaxed with lots of avenue for play. Being the sociable being she is, she blended right in and surprisingly too would often ask for more homework and go off in a little corner to complete her work independently. This was a good side. At the end of the month, I was amazed too at all the little places they were able to visit that helped to enhance the taught aspect of her education. She recorded a new appreciation for cultural artifacts (her previous school was never too keen on outings) and it was heartwarming. Honestly, I started this stuff! I pride myself on being free-spirited and creative at best. I do my best work in non restrictive environments and constantly require room to thrive. Too many formalities sometimes leaves me feeling in a rut and can kill my creativity and productivity in one go and I definitely see those traits being displayed by my daughter. She loves to learn, but is not always motivated by the strategies utilized by her former institution. At all of 5 years, she has come to associate FEAR with completing school work (based on whatever atrocities ‘Aunty’ promised kids at school if homework is not done on time). For her homework and learning had become a chore. She loves to be in the know, but whatever ‘school shaming’ she has experienced at all of 5 years has taught her that “when you know the answers you should be quick to reply, but when you don’t you should shy away and not seek to know”. I hated that. I want a child who sees the world as a grand place to be explored not only in a classroom but also out. I want a child who understands that learning does not end when school wraps at 2:00 p.m. each day, but that learning is a lifelong, non restrictive and continuous process-one that can be incorporated into activities at home and during play. Thankfully, with a mother who specializes in Early Childhood Education, I was able to live that experience. To this day, I will reel off countless folk songs, songs that were ‘created’ by mummy as learning aids and it is today that I really saw how very different my educational longevity was because of my mother’s approach to learning. I want that gift for my daughter but sadly, with all of life’s many work demands would not be able to personally commit to same. Notably too, I believe my child could grasp all those with the right home and school balance, but having tested the waters for the summer, I believe (for now) that a Homeschooling programme will tend to those required needs. Indeed, several administrative incompetencies at her former institution have no doubt contributed to our decision as a family. But there is also the issue of being unable to matriculate to Grade 1 until she is completely 6 years old in the matriculation year. As she waits to be 6 in February, I want to change her mindset and again make learning and ‘school’ a happy place. For now, I still am in that “trying a new thing phase” but I can tell with a month of home-schooled summer fun she is at her happiest and I like her this way and even as we have a few more months until her 6th birthday, I view this is a good time as ever to try a new approach. She has embraced the ‘no school uniform days’ and greets ‘my reading teacher’ with a huge grin demanding work on the first day of school. Can I be faulted for liking this new approach? In deciding if Home schooling is for you, weigh the pros and cons, do a test run if possible; be in constant dialogue with the tutor and be sure to consult the Ministry of Education for curriculum guidance. Assess your child’s progress and any barriers to same. Is there anything you can do to remove those barriers? In the end, home-schooling or not, balance and ENGAGEMENT are key, so being fully invested and involved in the process makes all the difference. And just in case you may be considering the Homeschooling alternative, be sure to consult the Ministry of Education in Jamaica (They have a comprehensive document detailing areas such as preparation for exams and has the Independent Schools Unit that handles issues related to homeschooling). You can also connect with the growing Homeschool Jamaica Group and in the event you require a tutor, you can pop by the High Flyer Tutoring Services or KBC Learning Jamaica and tell them JamaicanMommies sent you. As mentioned before, we are by no means fully ready for this, but it is an element that we have embraced for now, so check back here ever so often as I chronicle the next steps in this very new and exciting territory. Are you a home schooler? What is your approach? Do you have a tutor? Share your experience with us. *** As a Bonus, Homeschooler Sapphire also chronicles her homeschooling experience at Homeschoolmomja and fellow blogger Didan even has a running feature on Jamaican Homeschoolers. Proud of you and excited for your princess. This is a good venture, I have definitely seen the success of the program in many articles on these young geniuses. The thing is, as is almost always the case, the possibility to get these tutors is always limited to those in "corporate Jamaica", what about the West? Maybe I should look into it myself. I am a homeschool mom and I teach my little ones myself. There are numerous resources available online. I am in a Facebook group called Homeschooling Around the World. The members daily share advice and resources. Thank you so much for sharing this. Homeschooling has always been an interest of mine and I was very sceptical as to whether or not it's legal or even possible in Jamaica. I hope to do homeschool my children when I move back to Jamaica. Blessings for you and your daughter. I am considering moving to Jamaica from the U.S .I currently homeschool and would like to continue.Here in my state of Texas the homeschool laws are very laxed. You basically just have to inform the district of your intent to homeschool and inform them you will be utilizing a curriculum that meets the legal requirements and that is pretty much it. I heard mention of investigations and annual testing for homeschoolers in Jamaica..is that true?